Our son, Justin, is getting married this Saturday. At the age of 23, he is the first of our children to have reached this distinguished milestone, and it has put me in a reflective mood lately. In honor of this auspicious occasion (and as it is timely to Father’s Day which is Sunday), I am reprinting a memorable (and somewhat infamous) speech I gave 19 years ago. Justin, thank you for making me a Dad. I love you very very much. 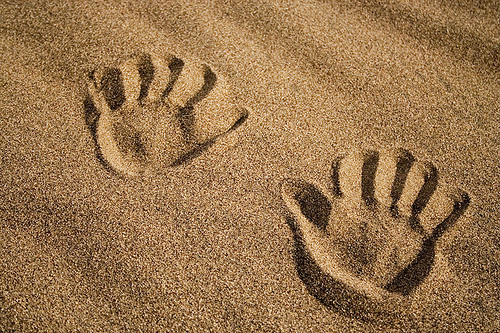 About 19 years ago, I found myself shoveling sand—about two tons of it—on the church property. I was moving the sand, one wheelbarrow at a time, as part of the process of preparing our property for our first building. And to my delight, my four-year-old son, Justin, was sitting next to me, making little “vroom” sounds with a toy car on a small Justin-sized pile of sand next to me. It was one of those special Kodak moments. Justin wasn’t whining or getting into trouble. He was just sitting there, next to the Dad he loved and adored, playing in the sand. I could almost picture a little imaginary halo on his head. Suddenly, Justin declared, “Daddy! Look! A volcano!” And he pointed to what appeared to be a small mountain range of tiny sand volcanoes, each with a little hole at the top, precisely the diameter of Justin’s index finger. I smiled. “Step on it!,” he dared. Thinking that he wanted me to play Godzilla Attacks the Aleutian Islands, I quickly replied, “Okay!,” and with all my Daddy superpowers, I jumped into the air and came down on the largest volcano. That’s when I felt a stabbing pain coming from my left instep. I doubled over, clutching my leg. And as I brought the sole of my tennies toward me, I could see the top inch of a three-inch nail protruding from my shoe. I couldn’t scream—I had suddenly forgot how to breath. I couldn’t swear—there were, after all, about two dozen people within earshot of me…and I was a pastor. And I couldn’t call for help—after all, I had just fallen for the old nail-in-the-sand-volcano trick. So I did what any man would do. I rolled on the ground and made little whimpering noises not unsimilar to the kind Lassie made when Timmy was stuck in the mine shaft. And then I looked up at Justin. He had this horrified look on his face, which quickly burst into hysterical tears. Now, these weren’t oh-man-am-I-in-trouble tears. These were tears of remorse. Tears of woe. Tears of unbridled, intense sorrow. So I half-rolled, half-crawled to him and took him in my arms and just hugged him. Actually, I think I pulled the nail out first—and then I half-rolled, half-crawled to him and hugged him. And as he heaved and cried little tears in my arms, I found myself repeating over and over, “It’s okay. It’ll be all right. Don’t worry. I forgive you.” Because in that moment, I knew he was sorry for what he had done. And I knew he wasn’t trying to hurt me—He just wanted to see if Dad would fall for the old nail-in-the-sand-volcano trick. But more than that, it was as if his remorse and his anguish were more than I could bear, more painful than the nail itself. When I saw his pain and felt the true penitent spirit from which it came, all I wanted to do was to let him know how much I loved him. It was a quiet ride home from the emergency room, I remember. Probably because I was trying to put behind me the awkward explanation I had to give the nurse of how it had happened. And as I took a peek at the little boy sleeping beside me, I began to think about how much I really do love him. With all my heart. With all my soul. And with all my life. And it occurred to me. God our Father loves us this way, only infinitely more. He loves us with a perfect love. He forgives us with a perfect forgiveness. And there are times in our lives when He waits with open arms, waiting to hold us and tell us that everything will be okay. That despite anything that we’ve done, he will forgive us. He is our Heavenly Father, our Abba, our Daddy God, who is ready to take us into His arms, if we would only come to him with a repentant heart, and the sorrow that accompanies the regret of sin. All I took was an inch of nail into my instep. Jesus, the Father’s perfect Son, loved us so much that he took the nails in his feet and in his hands. God the Son voluntarily put aside the privileges of deity to become human, to live among us, to experience heartache and loneliness and hunger and pain and ultimately death. To prove that His love for us was real and certain and true. With all His heart. With all His soul. And with all His life. 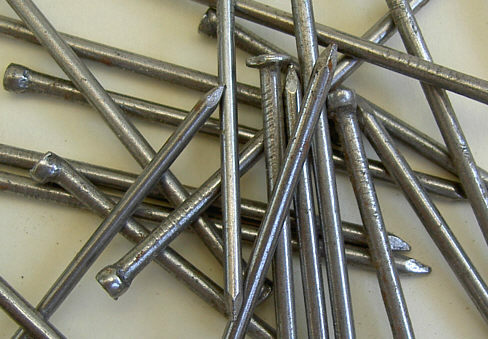 It was through that nail that I began to understand in much deeper ways a Father’s love. Posted in Blog, faith, Imagine That, religion, WritingTagged art, faith, father's day, Justin Luz, sand volcanoes, worshipBookmark the permalink. What Happened To All The Good Music?